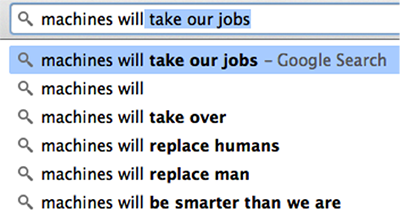 Will robots replace us in our jobs? Will they be better at them? Will they convince us that they are conscious? Will they embody human qualities? Digital marketers in particular may be wary of the rise of machines, as more of their jobs become reliant upon analytics and algorithm-based machine learning systems. On the one hand, they help us work more efficiently and learn more about our target market than ever before. On the other, listening blindly to what the data says can sometimes lead to marketing collateral devoid of any human emotion. So are spreadsheets, data and machines friend or foe? 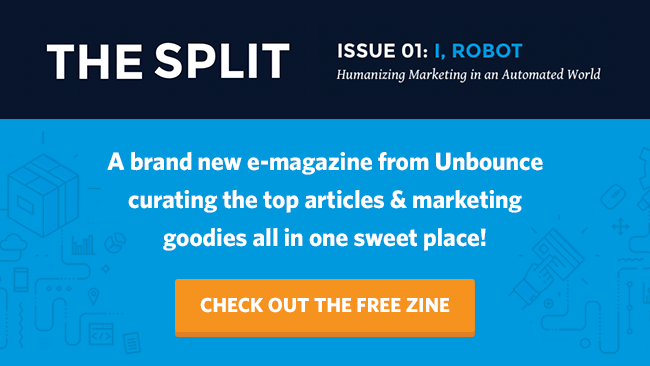 In Unbounce’s new e-magazine, The Split, we explore the world of machine learning, analytics and automation to answer the question: can creativity jive with data to create better marketing experiences? Check out the free e-zine below.